Much like in the NFL, depth is key for you fantasy roster. Many times, RBs and TEs are scooped up off the waiver wire after 1 big game (Erik Swoope, anyone?). Luckily, there are seemingly more WRs than we know what to with, so here are a look at some WRs you can get on the cheap for depth, or a spot start due to injuries or a bye week. In 2018, Dede posted a career high in receptions (66), receiving yards (717) and touchdowns (5). And all this with Blake Bortles at the helm. With a clear QB upgrade in Nick Foles, and a lack of other receiving targets in Jacksonville, Dede could be in for a huge season. Most Westbrook owners may have given up on Westbrook based on Jacksonville’s run first offense, so now is the time to buy. This former Jaguar has a new home, and much like his former teammate, Dede Westbrook, also landed a QB upgrade with future hall of famer Ben Roethlisberger. While never being an elite receiver, Moncrief finds himself in a great situation as Pittsburgh has never committed 100% to James Washington being the #2 receiver. The situation in Pittsburgh for Moncrief is pure addition by subtraction, as they lost Antonio Brown, Jesse James and Le’Veon Bell, so those targets have to go somewhere. If DeVante Parker couldn’t stay out of Adam Gase’s dog house, can Robby Anderson? With good size and speed, I was hoping to see more from Anderson last season with a young QB that has a big arm. However, he was hampered by injuries, and although he only missed 2 games, you could tell he wasn’t himself. The prior season, when he posted 93 receptions for 941 yards and 7 touchdowns, everyone thought he was the next big thing, but it never came to fruition. We will see what the 2019 season brings as his fellow receivers, Quincy Enunwa and Jamison Crowder are better utilized in the slot. Make sure when buying Robby you point out his injured 2018 season to buy him cheap! Another receiver with a disappointing 2018 season, a recurring theme, I know. Yet, Kenny Stills has been extremely durable over the course of his 6 year career, missing only 2 games. His best season may have been when he was a second year player (63 receptions, 931 yards, 3 touchdowns), but that doesn’t mean his best days are behind him. With a new QB that can stretch the field (Ryan Fitzpatrick) and a coaching staff that will bring a prolific New England style offense to South Beach, all is not lost. Between new Offensive Coordinator Chad O’Shea and Assistant Head Coach/Quarterback Coach Jim Caldwell, Kenny Stills should be in prime position for a resurgent season, as should the next player on this list. Stuck firmly in former Head Coach Gase’s dog house, Parker was surprisingly re-signed this offseason. Miami now has a great receiving corps with Stills, Parker and Al Wilson. Parker has good size and speed, although his production has never matched up to his hype, last season only posting 309 receiving yards on 24 receptions (1 touchdown). Health is an issue, as Parker has never played a full season in his career, though he did play 15 games in both 2015 and 2016, but only 13 in 2017 and 11 this past season. I think at this point, Parker should carry a late 2nd to early 3rd round grade. This is pure upside and pure wait and see. Another player that may benefit from players leaving (Adam Humphries and Desean Jackson), and another receiving target struggling to stay healthy (O.J. Howard), Watson could be in for a bigger role, although anything is bigger than the 1 catch for 5 yards he had last year. Enter new Head Coach Bruce Arians and his prolific offensive, and Watson could be on the upswing. Whether he plays in the slot, or slides outside and Chris Godwin moves inside, his size could make him very difficult to cover. Not sure of his potential? Grab him, hang on and trade him if you need to. I hope you enjoyed my list of some cheap Wide Receiver options. Keep in mind, one of the hardest parts of trading in Dynasty, is that everyone’s value on players/picks can be completely different. Just do yourself and the fantasy community one favor, and be polite to your fellow fantasy players. Questions? Comments? Hit me up on Twitter @Thembower85. 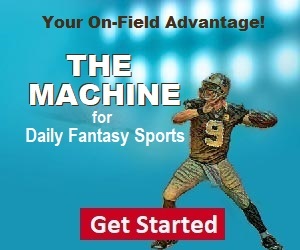 Feel free to ask me anything from Dynasty strategy, trade advice, or commissioner issues.